I think I have well and truly had my share of issues with technology lately. My computer has died (again!!). My poor old DH had already rebuilt it once this year after some very nasty virus issues and this time around there was no reviving the poor old thing. So I now have a brand spanking new laptop which I absolutely love but we are still trying to retrieve my old files and pictures etc that were stored on the old computer. To top it all off my camera died when we were on holidays last month and it has only just returned from the repairer. I was very lost without a camera. I don't think I realised just how often I used it. But the good thing is that it is back and I can now share my projects with you again. So firstly I have some layouts from the last Scrapbook Club I ran. I will share one each day from our last club so be sure to check back tomorrow. The first layout is one of my favourites using Bella Rose Designer Series paper and the A Rose is a Rose Stamp Set (both of which are now retired). We did a lot of stamping, cutting out and layering with the rose embellishments. We also used border punches and I have added in a cute hat pin and pearls from the Pretties Kit. I am currently taking signups for my 2011 Scrapbook Club. What is Scrapbook Club I hear you ask, well each club has 5 members and the club runs for 5 months. Each member agrees to place a minimum $60 order each month. Each member gets to be Hostess one month and receive the hostess benefits from our order which will be a minimum of a Level 1 Hostess Stamp Set and $30 to spend in the catalogue. Each month we will make a 12x12 layout. There will be a small materials fee of $5 for the layout kit which is a bit different to my last club but it will enable us to add more embellishments to the pages we make. I will also be offering the Club layouts as a monthly scrapbook class for non Club members at a cost of $20. Scrapbook Club is a great way to add to your stamp collection, create some layouts for your album while learning new techniques and have a great time out with new and old friends each month. 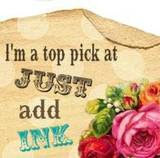 So be sure to contact me if you would like to join the 2011 Scrapbook Clubs.